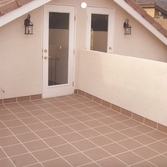 As a California State Licensed General Contractor and Waterproofing Contractor we can manage any size project that require waterproofing and any specific type of coating, whether you are waterproofing a small balcony or running a multiple building project from: Demolition, Tile remove, remove old plywood & install new plywood, Remove & install new drains, Metal flashing, Stucco repair, Drywall, Painting and much more. We can handle all of your waterproofing and small construction needs. This eliminates the need to call several different companies to maintain your home or commercial property. •Below Grade, Foundation Waterproofing, Block Walls and Planters Boxes Waterproofing• Interior Repairs Drywall and Painting. 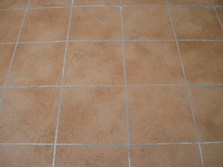 •POOLS• DECKS• STAIRS• BALCONIES• FLOORS• KITCHENS•WALKWAYS• WALLS• CUSTOM WORK AND MANY MORE. Note:Custom finishes, Brick & Pattern designs are done by request only. There will be an additional charge per design. Designs are custom made by hand. All these designs can be installed as waterproofing or decorative, Decorative coating can be installed without the waterproofing depending on the job requirements. 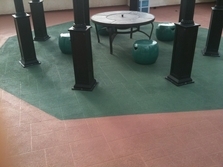 These designs can be installed in, Balconies, Decks, Rooftops, Corridors, Stairs, Plaza, Pool Decks etc.